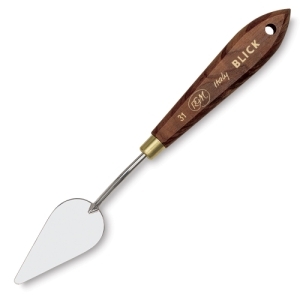 Blick Palette Knives by RGM are tempered and ground by hand for consistent flexibility and quality. They feature solid brass ferrules and ergonomic wood handles that are comfortable to hold.They're both handsome and comfortable to hold. ® Blick and Blick Studio are registered trademarks.® RGM is a registered trademark.